At the Academy we always had a Plan B if we we were caught out by the weather. A plan that included work indoors on balance and reactions. To date we have not been too unlucky with the weather and as such Julia’s Plan B wasn’t used. However, after Julia observed the improvements of one of our keepers by using the Batak wall in the lab at the University, part of Plan B was rolled out last night. We try to Instil better technique in our keepers, but in a fun environment and the Batak is one of those tools that even though a fun exercise actually helps promote better reactions and vision. 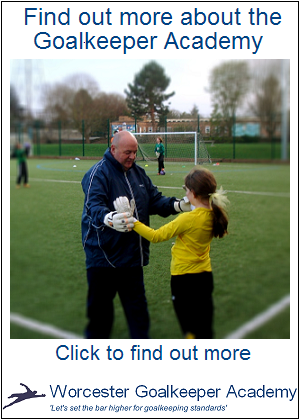 After this session we went back out on the Astro and did some shot stopping… Had they improved and did they react better? Most definitely! It’s no surprise then that we are now planning to use the Batak more often! Goalkeepers are you looking to improve your technique with Goalkeeper specific training? Come along and join us at the Worcester Goalkeeper Academy 7:00pm Friday nights on the Worcester University 3G AstroTurf.